First people came into the valley where vineyard is located and began to occupy themselves with farming around 60.000 years ago. This fact is witnessed by cave drawings of mountain El Monte Arabí de Yecla, which is near the vineyard and is considered to be the property of mankind and is protected by UNESCO. 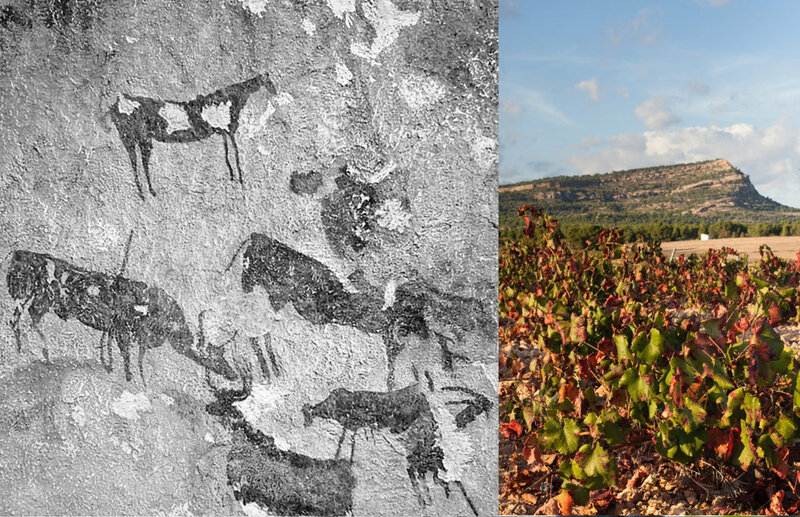 Therefore, each bottle of wine from CASA GRAS is decorated with a copy of cave drawing of mountain goat from the mountain of El Monte Arabí de Yecla as a symbol of historical heritage of old traditions and art. Later, in the period of the Great Roman Empire, wine was produced in this valley. Several wine cellars with remnants of wine vessels were found here during the excavations. Therefore, the location inherited long-standing historical traditions of this wine-making place. In the heyday of the Spanish Empire this spot was a busy trade route from the coast to the central part of Spain. In our territory there was a well-known place for the trade of spices, which generated the greatest income in trade during those times. Since then, on all maps to the present, it is designated as CASA DE LAS ESPECIAS. In 1846, Don Gras bought a ticket for the state lottery of Spain. His ticket was among the winning. With the money he gained, he bought the land and created vineyards here to make wine. Since then, the modern history of winemaking in these lands began. Wine from the vineyard of fortunate Don Gras is still considered to be bringing luck. That’s why his name became the trademarks of our winery, Casa Gras and Don Gras.